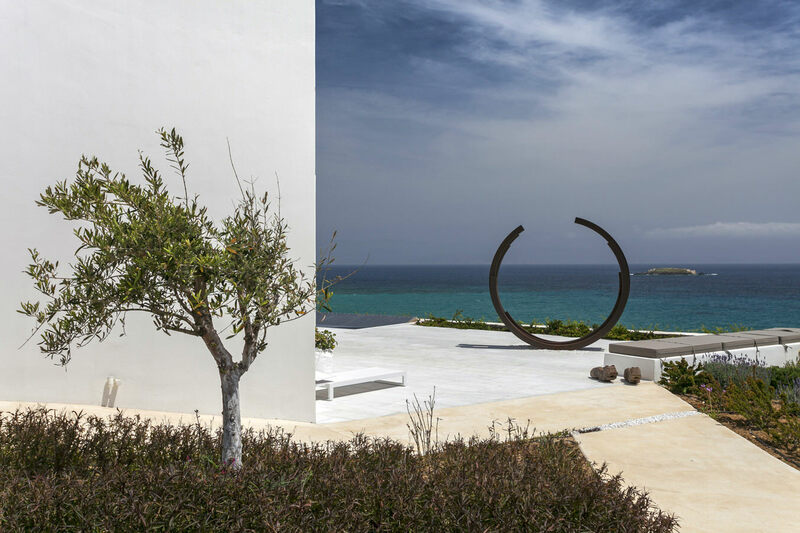 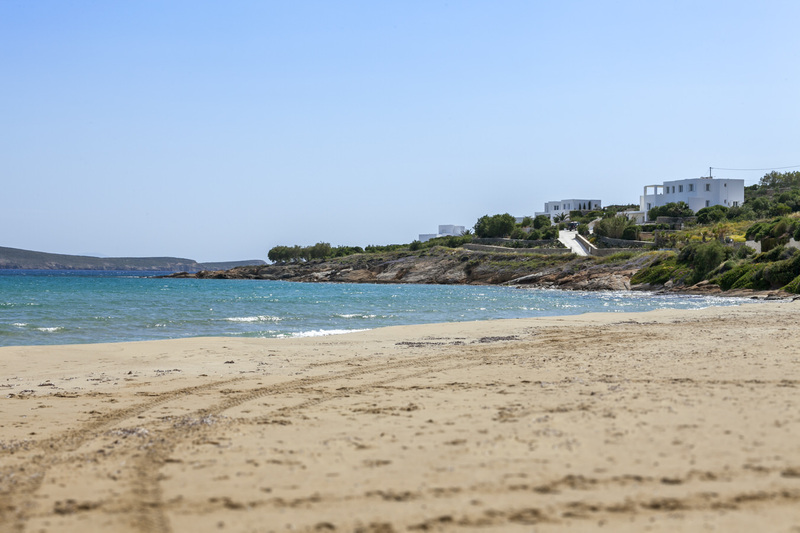 Along the eastern coastline of Paros, in the Tserdakia area - surrounded by vineyards, fruit trees, lavender and jasmine - lays a holiday residence that has become a haven for modern art. 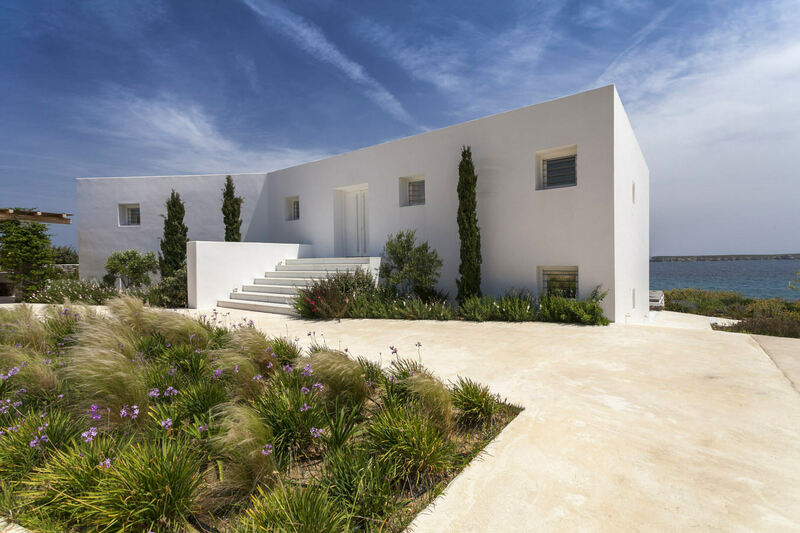 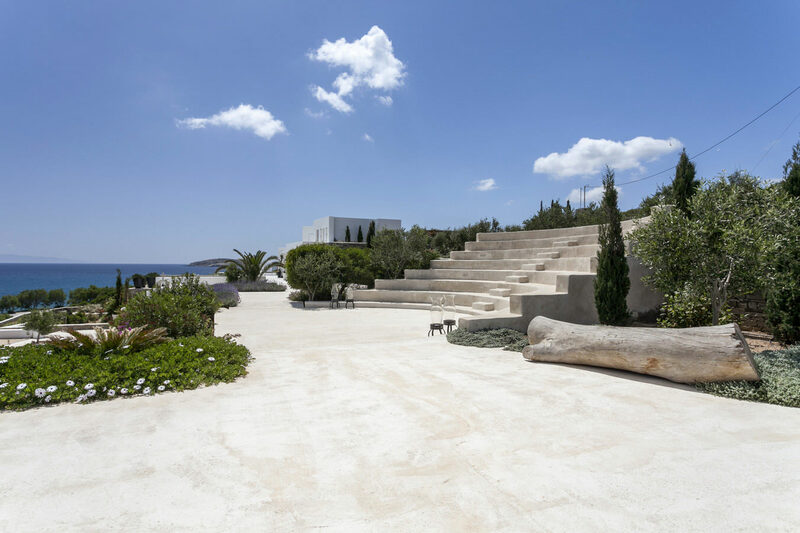 The summer residence came to life after the owner fell in love with the site and an incomplete skeleton that was originally designed by the architect Vazeos Petropoulos. 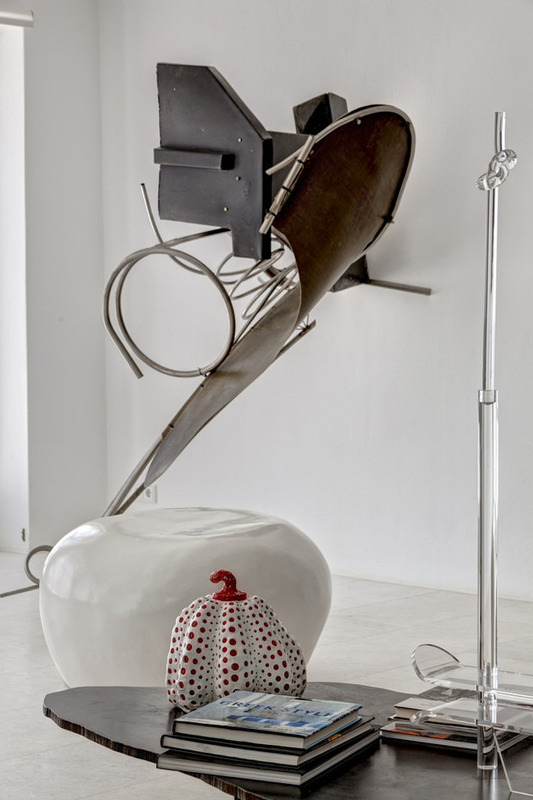 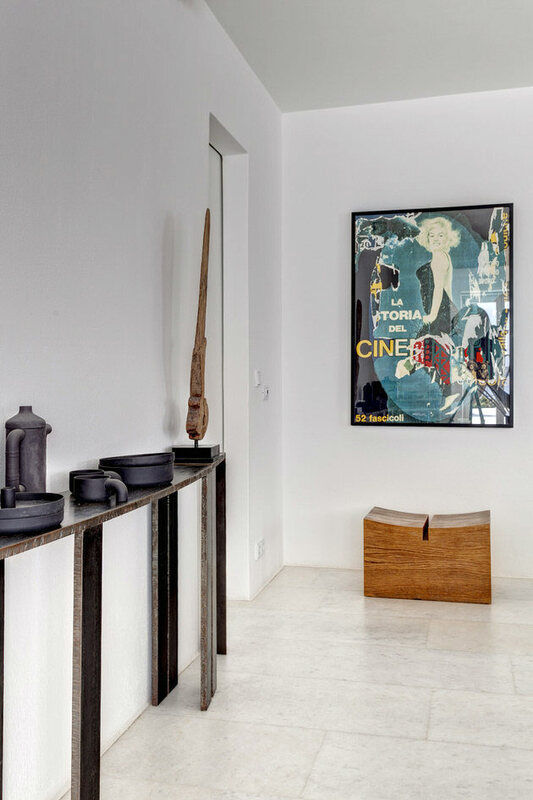 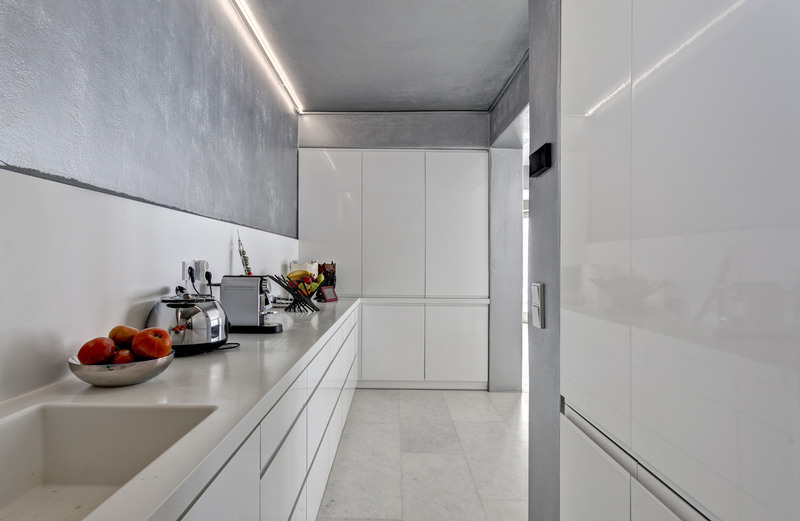 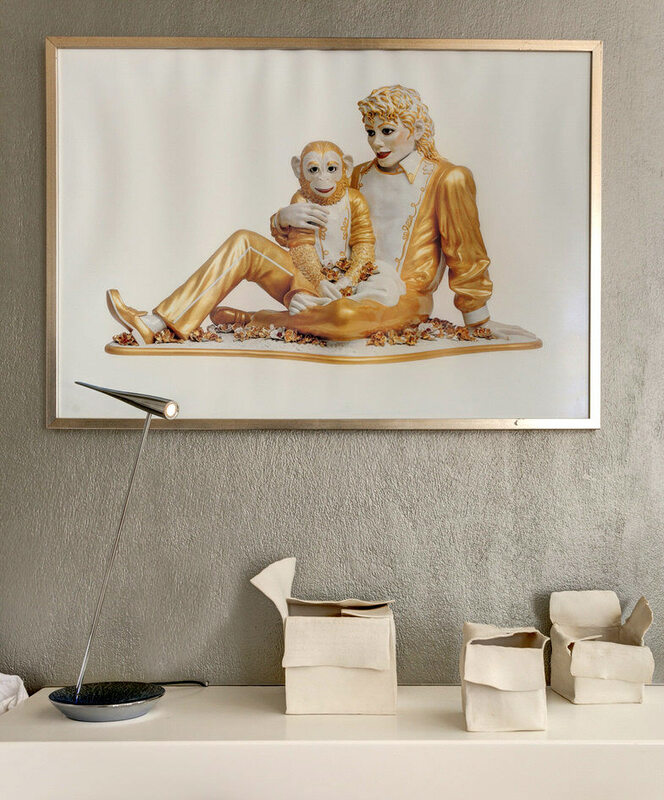 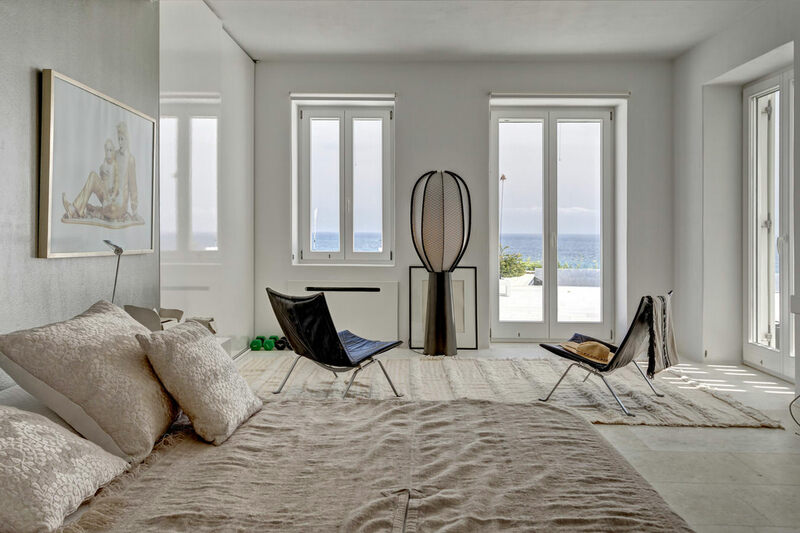 Following the plans and ideas of her friend Maria Demetriades, who is also an art lover and collector, they designed and completed the construction of the house as an open space and a home for contemporary art. 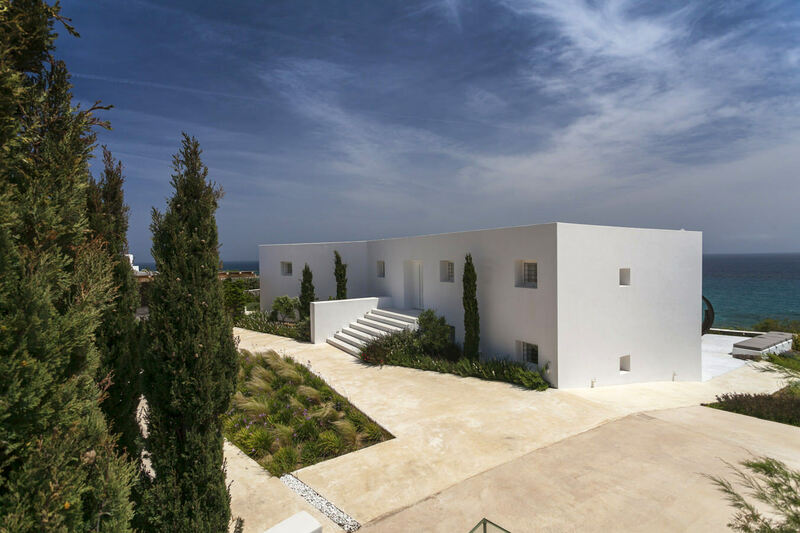 The residence consists of two buildings. 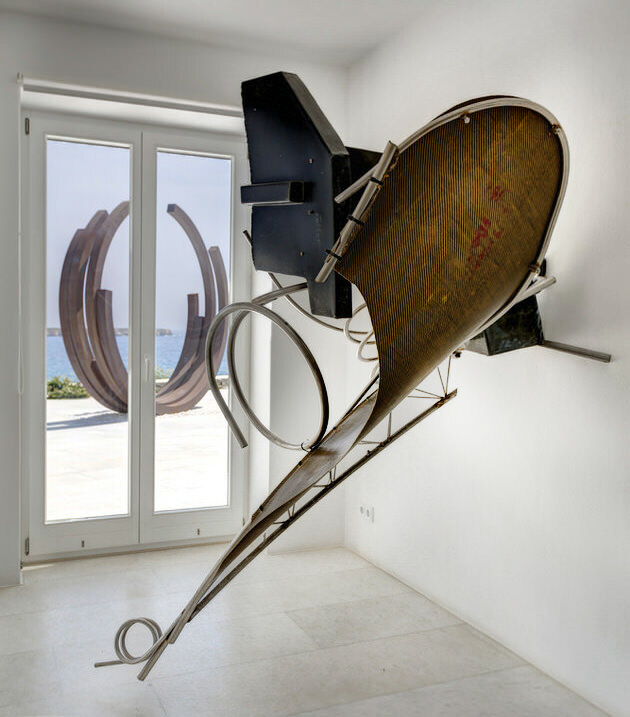 In the main building, the owner's quarters are on the ground floor where the entrance opens onto a kitchen, dining area and a living room that features a large torch-cut steel sofa by the sculptor Bernar Venet and a sculpture by the American artist Frank Stella. 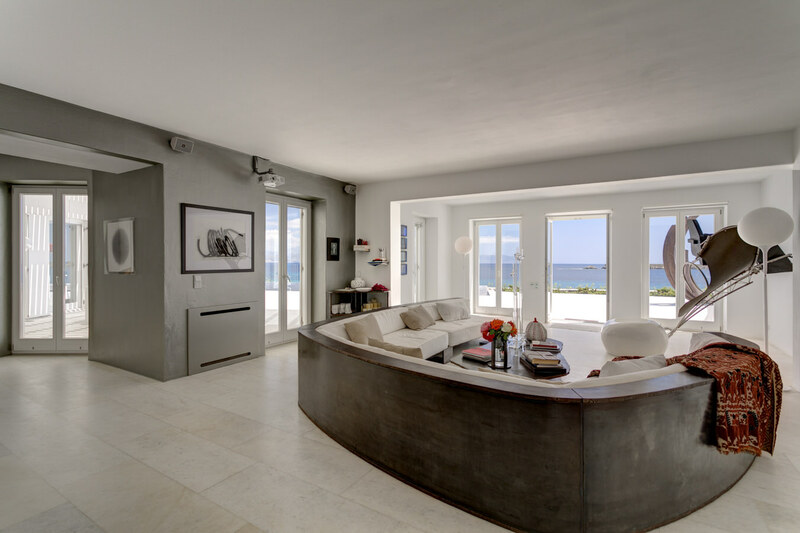 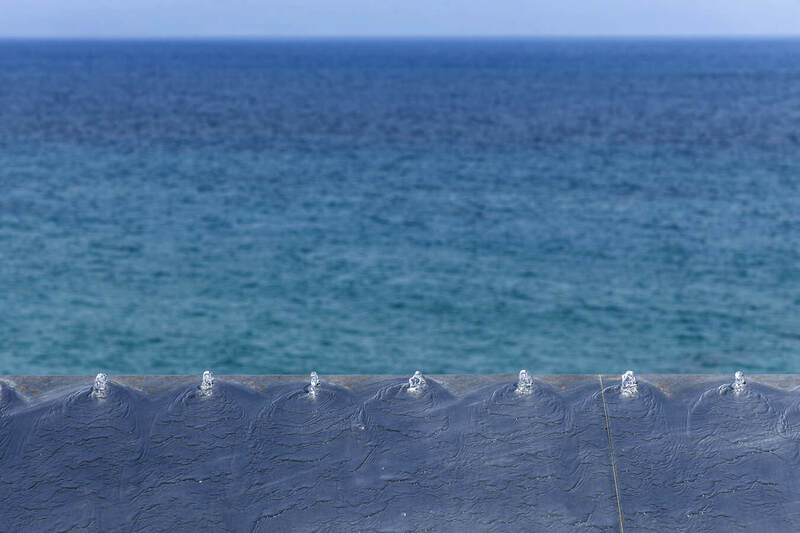 The first floor hosts the guest bedrooms and commands views of the pool and sea. 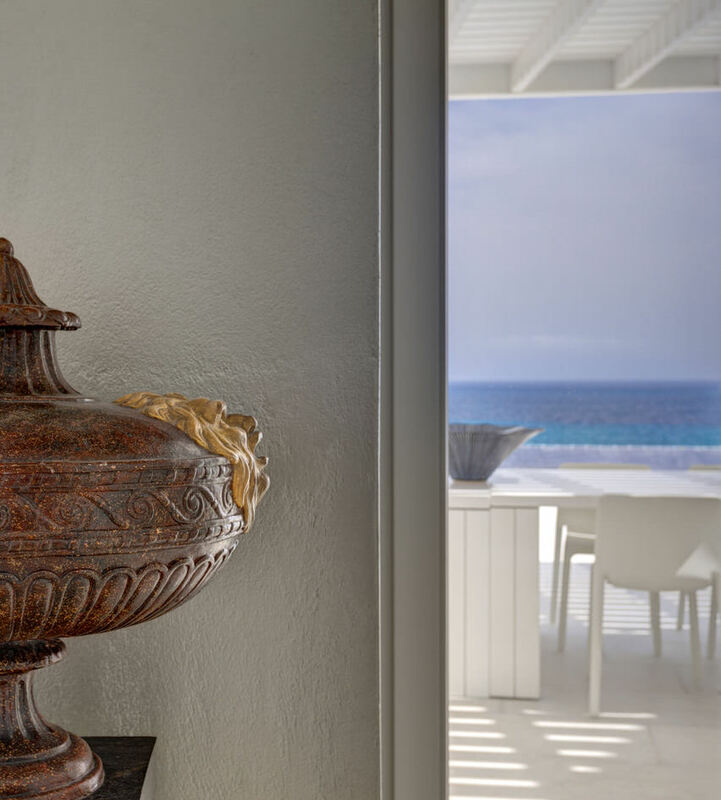 Artwork, drawings and objects by renowned artists feature throughout the house, and highlight the artistic spirit of its owners. 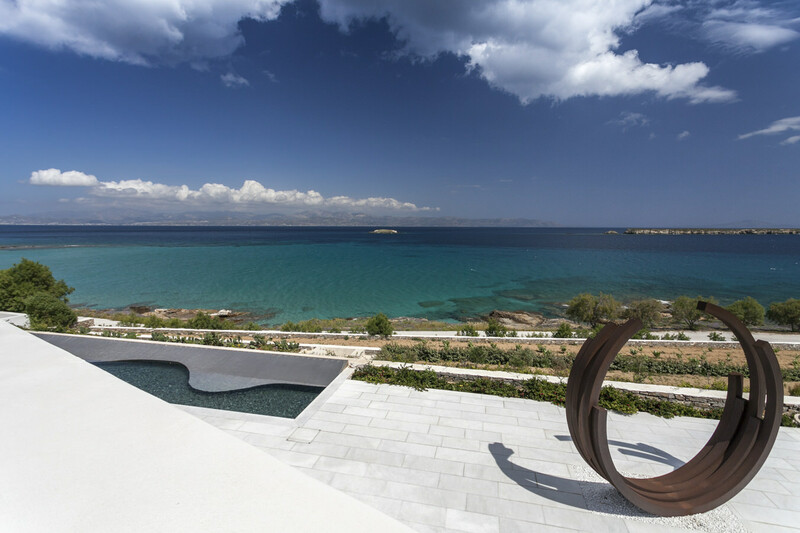 The living room's windows open onto an outdoor dining area shaded by a pergola, as well as an extensive marble terrace surrounding a swimming pool that includes a fountain designed by the Greek artist Nakis Tastsioglou. 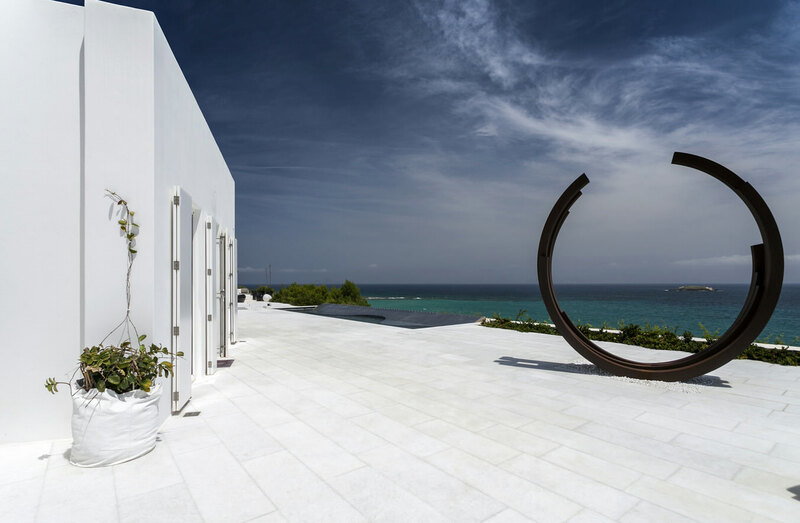 Two large-scale metal sculptures adorn the pool. 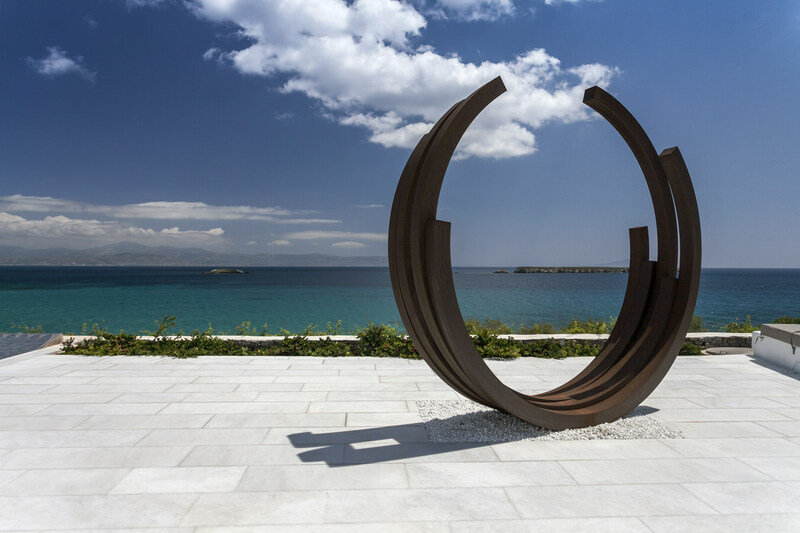 There is a steel sculpture by Bernar Venet as well as a sculpture by Takis, which depicts a bouquet. 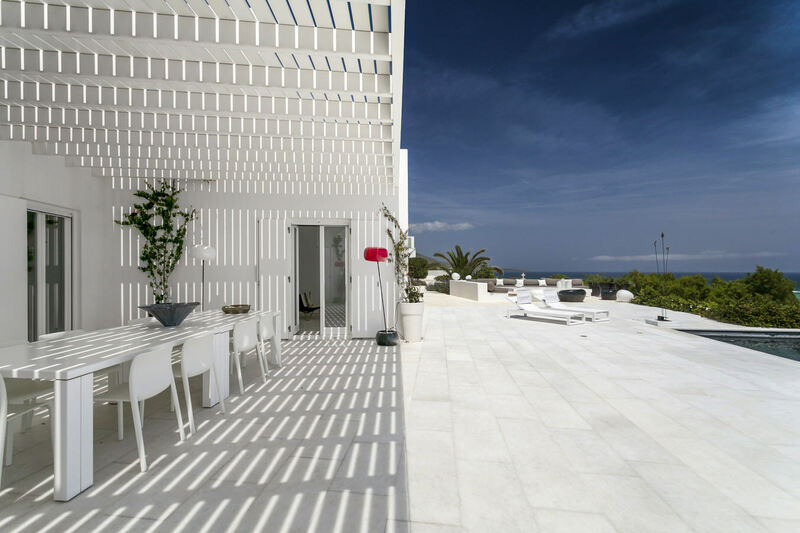 There is also a very large concrete and white painted sofa by the pool, which overlooks the sea and serves as a lounging area at sunset. 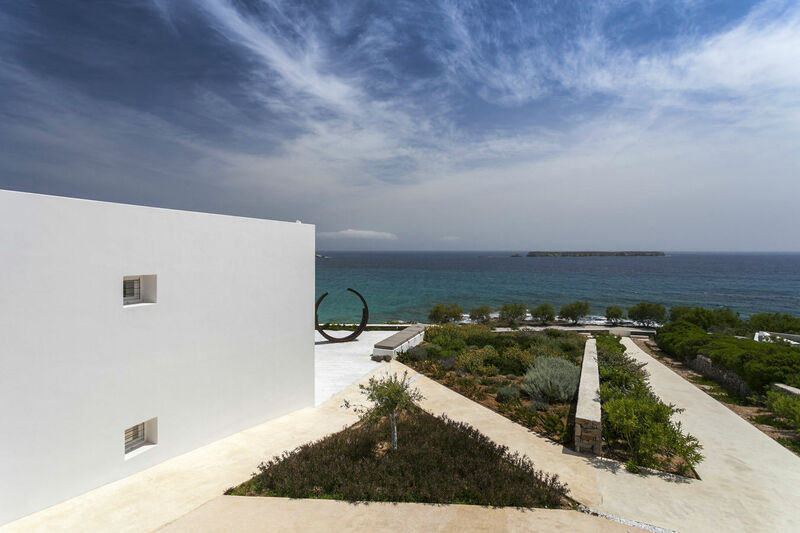 A second house on the property hosts further guest quarters, as well as a staff apartment and an artists' workshop. 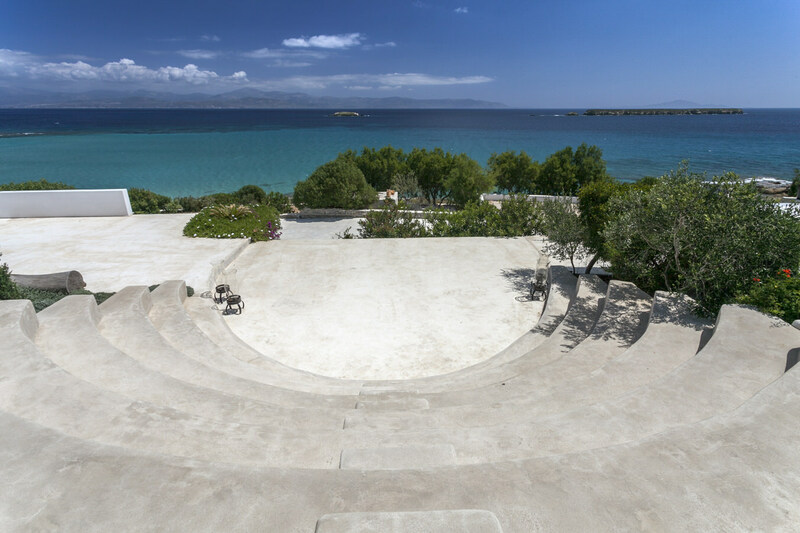 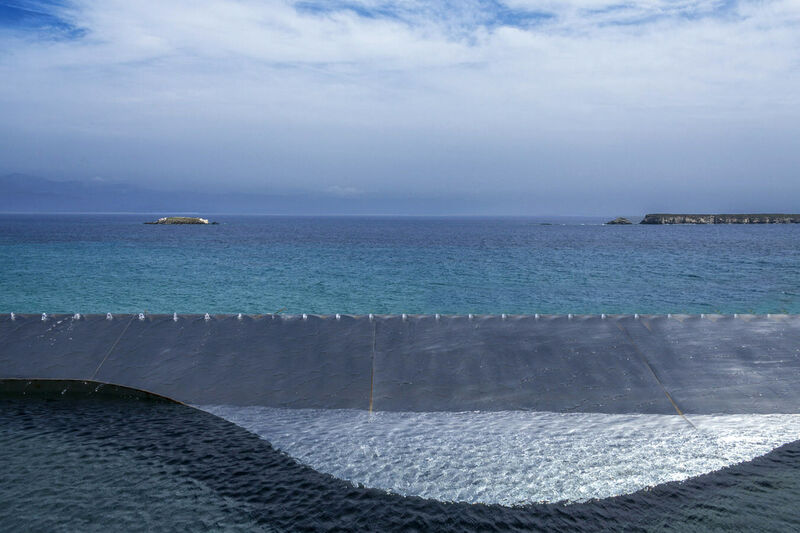 The grounds around the two houses are landscaped and feature a Greek theatre that welcomes musicians, actors or dancers, and faces the sea.